A SUNDAY TIMES HISTORICAL NOVEL OF THE YEAR. Tenth-century Iceland. In the midwinter darkness, on the lifeless black soils of a newly settled land, two friends kill a man. Kjaran, an itinerant storyteller, and Gunnar, a once-feared warrior, must make a choice: conceal the deed or confess to it and pay the blood price to the dead man's brothers. For the right reasons, they make the wrong choice. Kjaran and Gunnar's fateful decision will leave them fighting for their lives, fighting to retain their humanity as Iceland's unyielding code of honour ignites a remorseless blood feud that will consume all it touches. 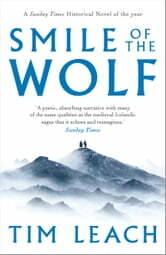 'Smile of the Wolf bares its fangs from the first page. Like a medieval tapestry, the storytelling is rich with imagery. Readers will be lured spellbound into this lyrical and evocative Icelandic saga. It deserves huge success' DAVID GILMAN. 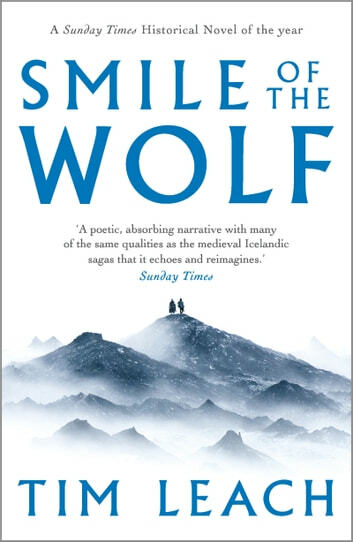 This book is a brilliant modern realisation of the Icelandic sagas and the forces that drive blood feuds. Captures the society and the state of outlawry wonderfully. Stands as a modern companion to those sagas, especially, perhaps Njáls Saga. Historic Iceland and its laws and customs interwoven seamlessly into the story of a man and his friends and opponents. I loved this book. It’s a great story with a strong, unexpected ending. I like the writing style which is unusual and carries you along wanting to know what happens next. This is a well-written book and one anchored in plenty of research. The history of these feuds and their place in Norse culture is fascinating if disturbing. Not so nice is the amount of repetitive narrative that slows the plot down significantly. When you find yourself skimming past irrelevant prose you know there's trouble. This book should be put on a diet. The other issue is the overall mood of the book. If the intent is to acquaint the reader with the brooding Norse character it succeeds in spades. This could have been lightened at least occasionally. The reader is left to wonder by the end why everyone just didn't kill themselves. Now this is harsh, I'd agree. But there was the germ of a really story in this book that was bothered by extraneous devices.